As you may know, we spent the entire month of August this year in Germany - what a treat to be able to take such a long holiday! 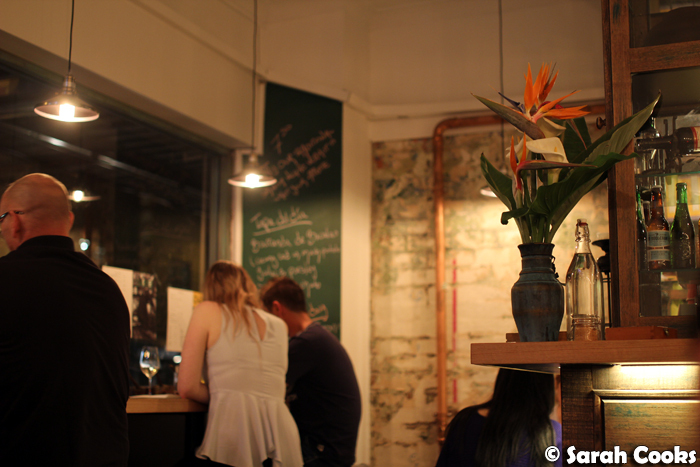 However, it did mean I had to turn down quite a few invited events - one of which was the launch party of the new Chato Tapas Bar in Thornbury. So I was thrilled when owners Jenny and Maria Echevarria-Lang invited me for a meal after I got back. 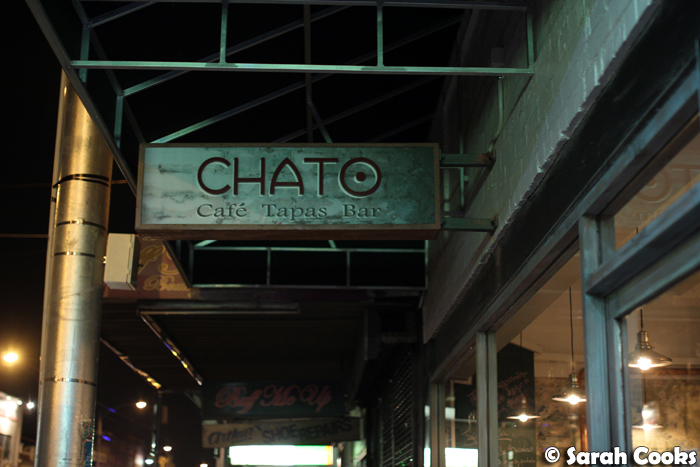 Chato is located on an up-and-coming stretch of High street. 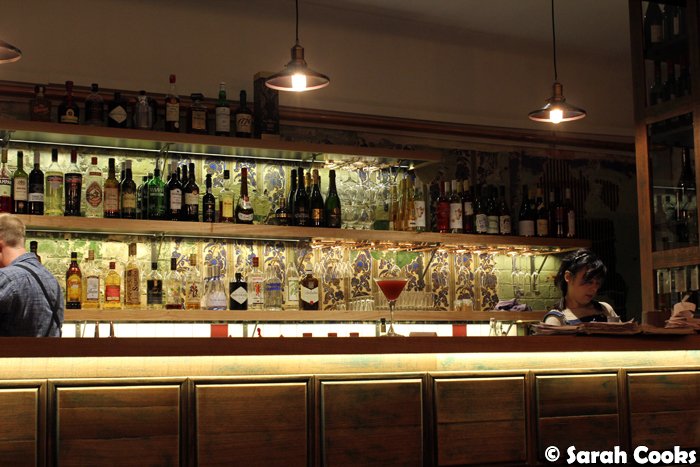 They're an all day eatery with a Spanish flair - they do breakfasts, lunches (including a menú del día) and dinners. We visited on a Friday night to find the restaurant full and buzzing. 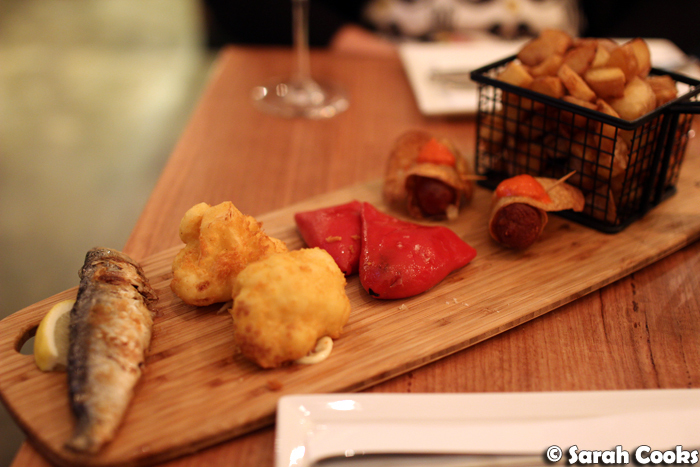 At dinner, Chato offers a range of snacky little tapas bites, as well as larger dishes like paella and fideuà. If you came in a group, I think a few tapas and a larger dish would make a great meal, but as we were there in a pair, we made up our whole meal from tapas items. We saw a few tables ordering the Jerez y Tapas or Chatos y Tapas (five sherries or small glasses of wine with five matching tapas, presented on a wooden board), which looked super fun if you were up for a big night! Particularly impressive were the pinchos xistorra (fried Basque sausage wrapped in thinly sliced potato), and the whole char-grilled sardine - so fresh and lovely! (Eating this made me wonder why I don't eat whole fried or grilled fish more often). Patatas bravas are a must order for me, because fried potatoes. 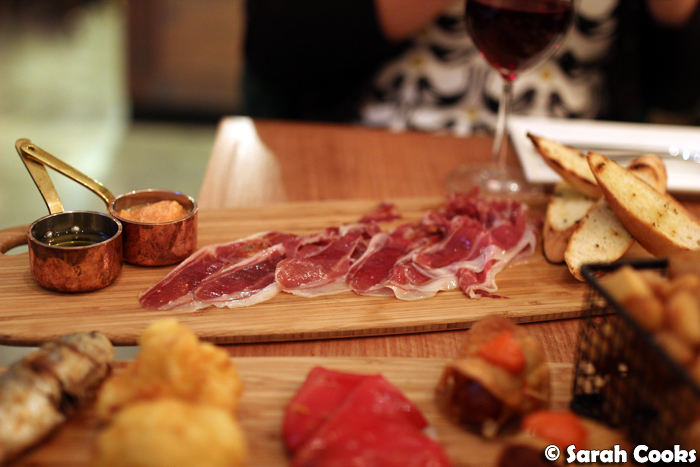 You may remember that on my most recent trip to Paris, I had a life-changingly delicious jamón ibérico de bellota, and when I saw that Chato have a 42-month pata negra on the menu, I just had to order it. Amazing Spanish hams for the win! The pata negra certainly didn't disappoint. It was soft, with a lusciously creamy layer of fat, and a gentle saltiness and smokiness. It was served with extra virgin olive oil, tomato puree and char-grilled bread. Just incredible! I highly recommend this! 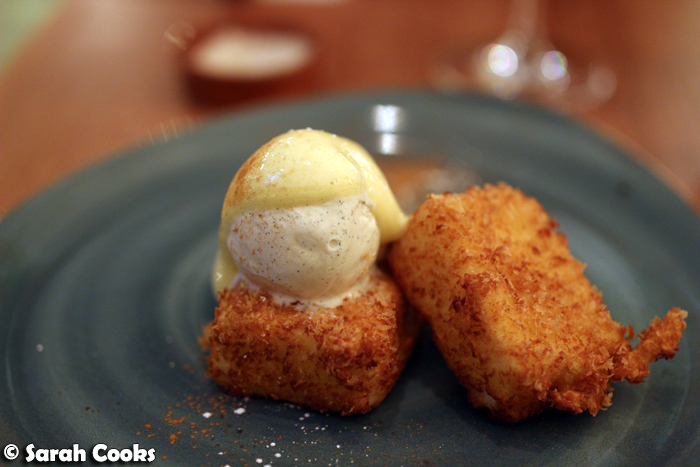 We ordered the leche frita (fried milk) primarily out of curiosity - it's a traditional dessert from the north of Spain, made of vanilla custard, set firm and cut into pieces, then crumbed and deep fried. Here it was served with a vanilla bean ice-cream and a lovely bitter orange honey syrup, which offset the richness of the fried milk. Really lovely. 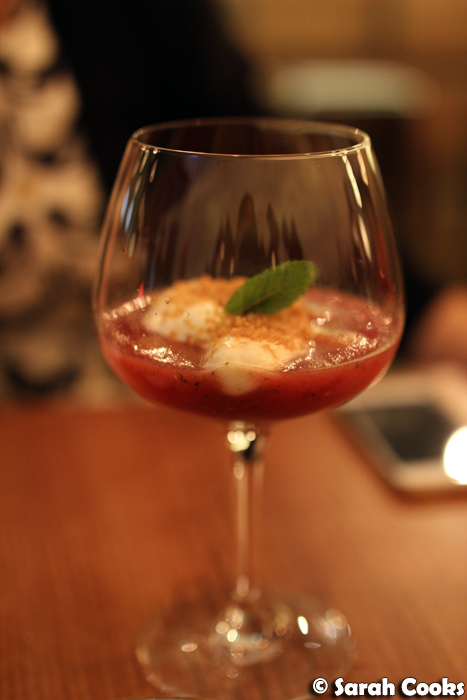 New to the menu was the sopa de sandia, a chilled watermelon soup with soft meringue, mint, and crumble sprinkled on top. It was really light and refreshing - and will be especially nice in the hot weather. 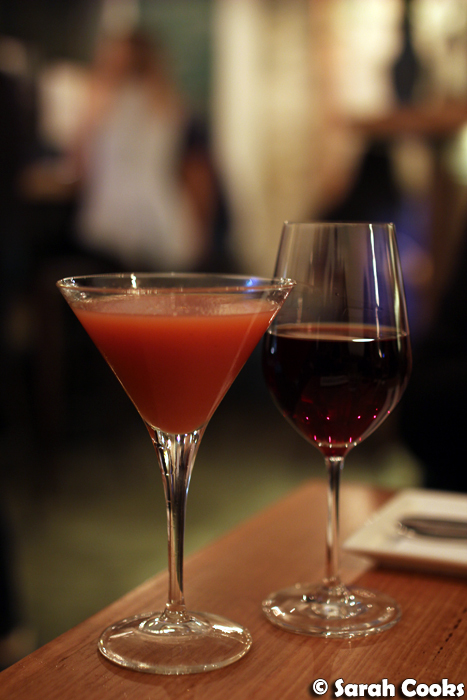 It was a really fun and delicious evening - thank-you to Jenny and Maria and the team at Chato for having us! 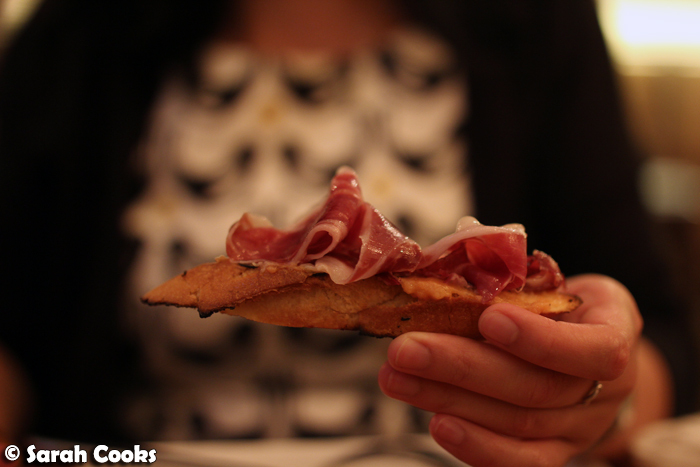 The aged jamon is so divine!! And the pinchos xistorra sounds SO good (how could potato wrapped sausage ever be a bad thing? ).